Regulatory T-cells in the central nervous system trigger the maturation of stem cells that increase the production of myelin at injured neurons — a discovery that places the idea of regeneration in MS in a whole new light. Myelin is a substance essential to the functioning of the nervous system. 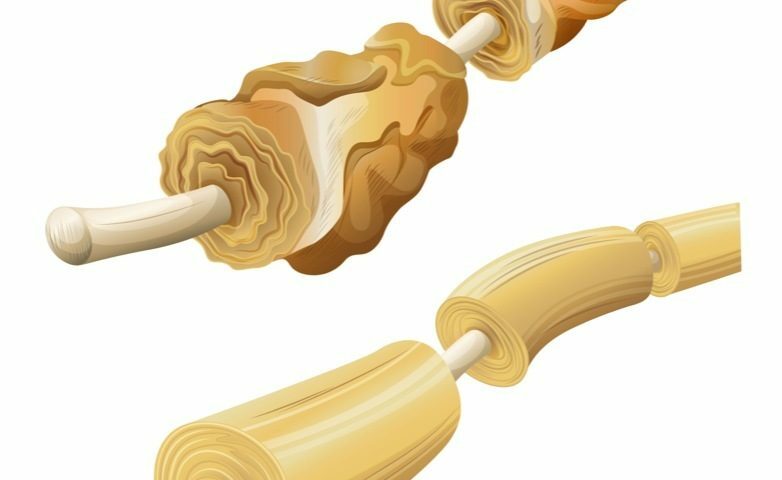 MS is characterized by destruction of myelin, so understanding how myelin regeneration occurs is an important finding. With this new understanding of how immune cells signal to boost brain repair, researchers can now attempt to develop therapies that mimic the processes. Since current MS treatments slow the rate of new damage without having an impact on older injuries, such therapies would not only prevent MS patients from getting worse, but also actually make them get better. The study, “Regulatory T cells promote myelin regeneration in the central nervous system,” also demonstrated that regulatory T-cells have a broader role in the body than just acting as a force to calm and resolve inflammatory processes. The report was published in the journal Nature Neuroscience. “At Queen’s we are taking a unique and fresh approach to uncover how the immune system drives brain repair,” Dr. Yvonne Dombrowski, of Queen’s University Belfast said in a news release. She is the study’s lead author. “This knowledge is essential to designing future treatments that tackle neurological diseases, such as MS, in a new way – repairing damage rather than only reducing attacks. In the future, combining these approaches will deliver better outcomes for patients,” Dombrowski said. The research team noted that what hampers regeneration in MS isn’t lack of stem cells that can turn into myelin-producing cells. The stem cells are there, but they are not activated. Meanwhile, the brain of an MS patient is like a magnet for T-cells. The team discovered that regulatory T-cells — known for their roles in counteracting inflammation — promote the development of myelin-producing oligodendrocyte cells. That leads to myelination of damaged nerves. Mice that lacked the regulatory cells could not repair myelin damage as well as normal mice. But when researchers transferred the regulatory T-cells, old injuries started healing. The team observed similar effects when studying slices of mice brain in a lab dish. They discovered that the T-cells’ capacity to repair myelin damage was present without any apparent ongoing inflammation. But the team did not stop at identifying the cells. They were able to pinpoint the T-cell-produced molecule — CCN3 — that drove the maturation of stem cells and regeneration. In addition to the research team at Queens, the study involved researchers from institutions in Cambridge, San Francisco, Edinburgh, Nice, and Maynooth, Ireland.